Consumer’s trust in the supermarket and food chain is essential to make the system work. You don’t need a Google Alert to see several food recall headlines in a given week. According to Food Safety Magazine 764 food products were recalled in 2016…so roughly 2 recalls a day. It’s a fact of life if you are in the food industry. In our surveys and interviews, retail food buyers consistently rank food safety at the top of their priorities for working with vendor partners. They understand where the tainted food is bought will be the first name called out in the headlines. 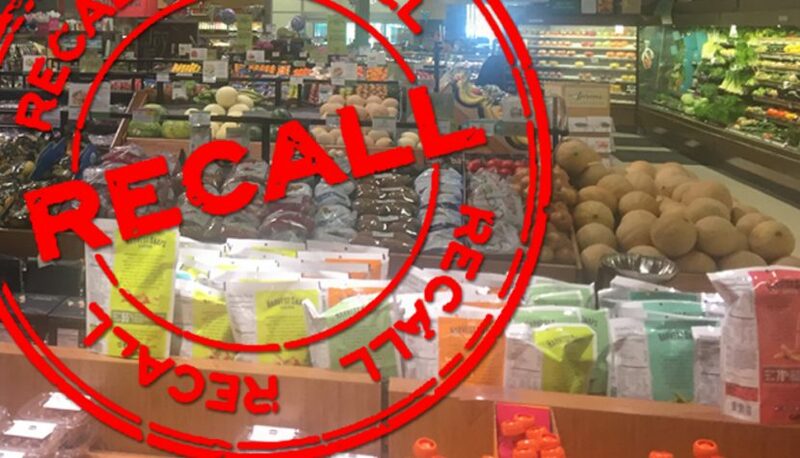 In today’s incredibly competitive food retail environment, one food recall can damage sales immediately and negatively impact sales for the quarter…or longer. 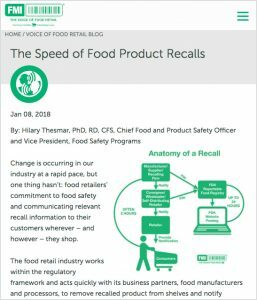 Dr. Hilary Thesmar, PhD, RD, CFS, Chief Food and Product Safety Officer and Vice President, Food Safety Programs at Food Marketing Institute, published a recent blog called The Speed of Food Product Recalls. It’s a good read as a refresher course in how fast things need to work to maintain consumer trust for the retailer and the vendor. For those of us (like me) who are visual learners the infographic is a quick and dynamic read. The post also addresses the evolving way consumers want to be contacted in the event of a food recall. Email, in-store notifications, text messages, checkout register and of course, social media are all listed in priority of choice of contact. As the highest priority in Dr. Thesmar’s article, email and text messaging are vitally important as the first line of communication. The question is, as a food brand, do you have that information? If not, there is no better time than the present to initiate a loyalty club. You need to be prepared to give in order to get. Set up some digital coupons with a trusted source and start mining emails and text for SMS offers – all in the name of being able to engage and communicate with your biggest fans. Delivering good news and potentially bad – like a recall. The NewPoint team is here to help if you’d like to hear more on these topics. Also, check out chapter 14 of my book, Moving Your Brand Up the Food Chain: Get Digital and Grow the Brand which builds the argument for all things digital, including developing a loyalty club and chapter 15 of my book, Moving Your Brand Up the Food Chain, dives into the details of public relations.